Ladbrokes offers their customers several exciting sports betting promotions. One of them is called Ladbrokes Acca Insurance. 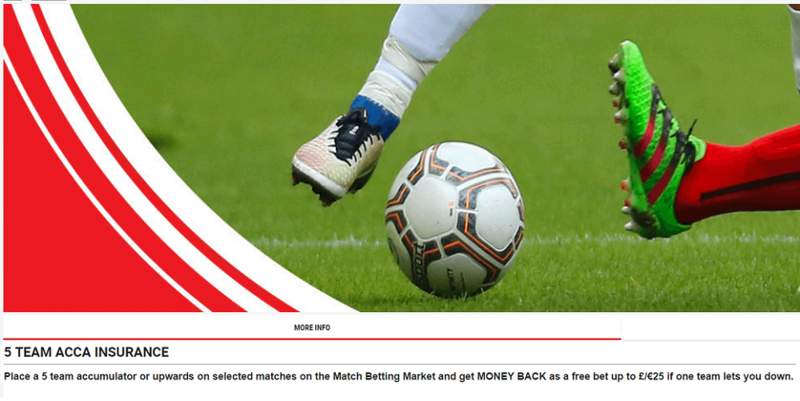 Place a 5 team (or upwards) accumulator on selected competitions on the match betting market and if you lose, you could get your money back as a free bet, up to a maximum value of £25 per day. What is the Ladbrokes Acca Insurance? Ladbrokes Acca Insurance is a combination bet promotion and it is the perfect promo for you if you enjoy placing multiple bets on football. Many bookmakers from the United Kingdom such as Coral and William Hill offer similar promotions. The Ladbrokes Acca Insurance only applies to accas of 5 games or more. 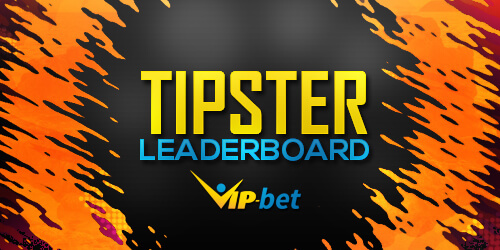 Accumulators that count towards this promo are multiple bets consisting of 5 games or more. If one of your selections lets you down, you will be credited with a free bet up to £25. It has to be exactly one lost selection; if it is more than that you will not receive any free bet. The 5 Team Acca Insurance applies to selected European competitions and matches only. You can find a complete list below. How Does the Ladbrokes Acca Insurance work? Place a 5 team accumulator, or upwards, on a Win-Draw-Win market. Receive up to a £25 free bet if one selection lets you down. Maximum free bet refund of £25 per customer per day. If you haven’t signed up with Ladbrokes yet, you can take advantage of their welcome offer. Ladbrokes provides you with a £50 free bet upon signing up with them. Use the promo code F50 while registering a Ladbrokes betting account. Place a bet of at least £5 or more at odds of 1/2 or greater. The Ladbrokes free bet matches your first placed bet. If you place a bet of £5 you will receive a £5 free bet, if you place a £50 bet you will receive a £50 free bet and so on. The Ladbrokes Acca Insurance can be used to insure your football accumulators. It gives you great additional value if you enjoy placing multiple bets on Win-Draw-Win markets. Please be aware that only bets placed on this type of betting market will qualify for this promotion. We recommend placing accumulator bets with an exact amount of 5 matches. This will help you to maximize your profits and avoid taking too high of risks by adding too many matches. If you win 4 matches you are already break even in terms of profits, due to the Ladbrokes Acca Insurance. If you lose it by just one game you will get a refund worth up to £25. This promotional offer is available for new customers only. In order to claim it you have to be 18 years or older. T&Cs apply. Place a five-fold accumulator or upwards on games from selected leagues, cups and other matches (outlined in Term 3) on the WDW Market and if exactly one selection loses we will refund your losing stake up to £/€25 as a free bet. Maximum free bet refund of £/€25 per customer per day. If multiple qualifying bets are settled on the same day, only the earliest bet placed will be refunded. English (Premier League, Championship, League One, League Two, FA Cup, EFL Cup, EFL Trophy); Scotland (Ladbrokes Premiership, Championship, League One, League Two, Scottish FA Cup, Scottish League Cup, selected Challenge Cup); Champions League; Europa League; French Ligue 1; Spanish Liga BBVA; German Bundesliga; Dutch Eredivisie; Italian Serie A; Swedish Allsvenskan; MLS; World Cup 2018 Qualifiers and Africa Cup of Nations matches. Available to new and existing customers betting online, through sms, mobile or tablet, and to customers in Ladbrokes shops through the “5 Team Acca Insurance” coupon. Promotion applies to matches played from Monday, August 1st, 2016, until a date to be advised in shop and on ladbrokes.com. Applies to losing bets placed on the match result (Win-Draw-Win) markets. Does not apply if more than one selection in the accumulator loses. Qualifying bets must be placed before kick-off. Bets placed in-play do not count. 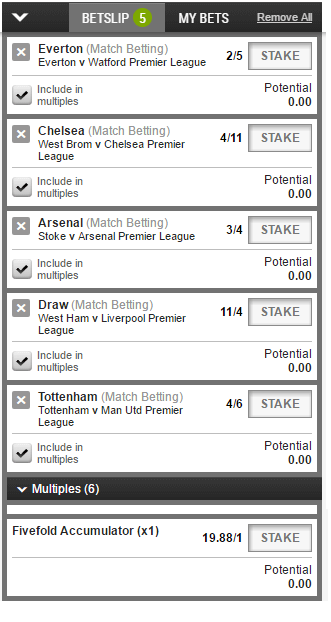 Straight accumulator bets only (of five selections or upwards). Permutation bets do not count. Bets which have been “cashed out” or bets which have been edited (using Edit My Acca feature) do not count. An accumulator with void selections so as to make it fewer than a five-fold accumulator will not count. Bets placed on enhanced price accumulators will not count. Refunds will be credited from 12:00 (noon) the day after qualifying bets are settled. The offer is open to all shop customers and to Digital customers betting on our UK, Ireland, Germany, Sweden or Africa sites in £/€, or currency equivalent.